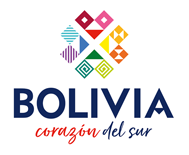 To see more and experience the real Bolivia and Peru, we believe there is a number of tours and activities that are must do´s for a true Hopster. In Copacabana you can visit the Sun Island, which according to the myth is the very birthplace of the Sun and the first Incas. In Puno you can go on boat trips across Lake Titicaca to see the manmade Floating Island or even stay overnight with a local family! In Arequipa you can find the 2nd deepest canyon in the world the Colca Canyon. Nazca has one of UNESCO’s world heritage sites, the Nazca Lines; a 2000 years old mystery. Huacachina is home to the biggest sand dunes and only natural desert oasis in South America and in Paracas, you can witness the amazing Ballestas Islands, known as the “Poor Man’s Galápagos”. Below, you will find more detailed information about all of these tours to help you plan and organise your adventures! Cruise and discover the highest navigable lake in the world at over 3,800 meters above sea level. Witness the lake which connects Peru and Bolivia and also has spectacular views. The 3rd most visited destination in Peru and the second deepest canyon in the world. Twice as deep as the Grand Canyon and home to the majestic Condors. Be ready for an adrenaline packed buggy with a licensed driver, where you will dash up and down the BIGGEST sand dunes in South America. Buggy up, sandboard down! Peru’s “Poor Man’s” version of the Galapagos Islands. Tour out in a large speedboat into the Pacific Ocean and discover this important sanctuary home to 400+ species of wildlife.